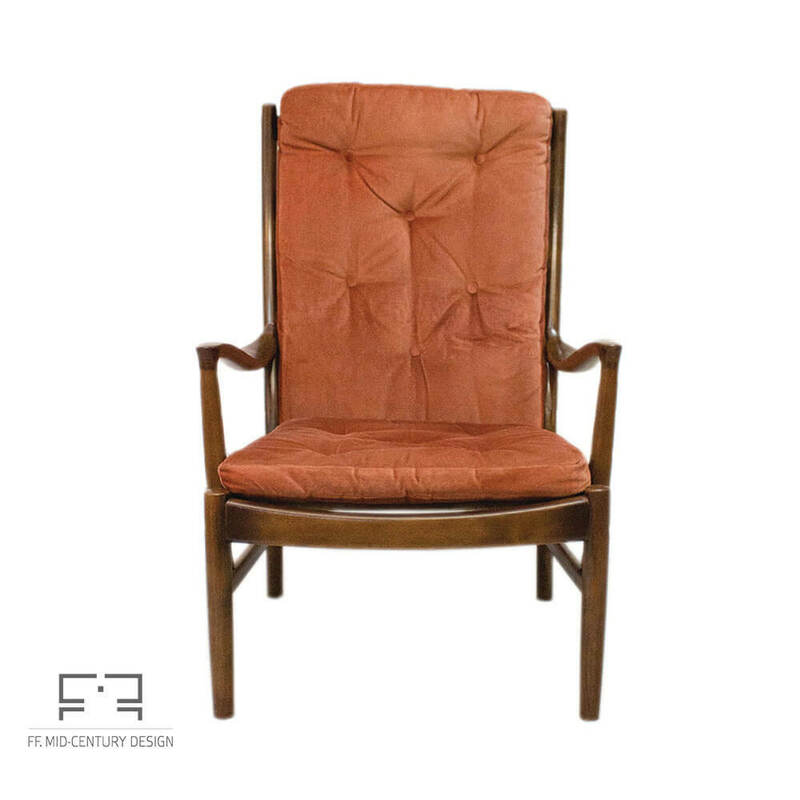 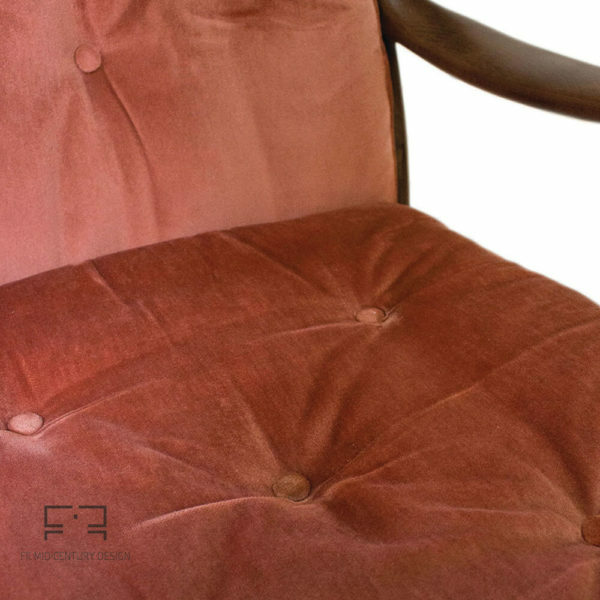 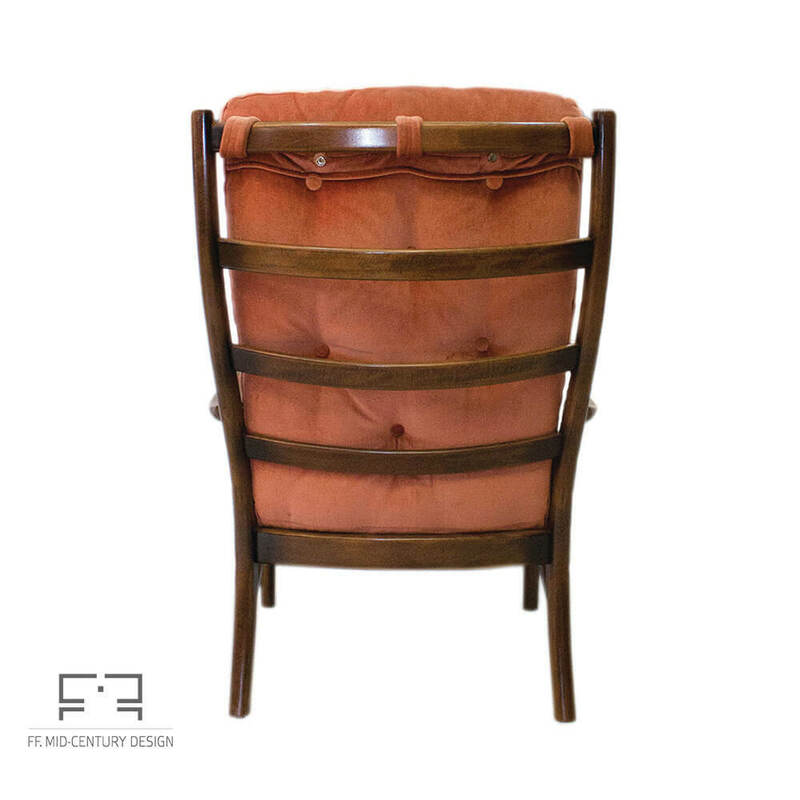 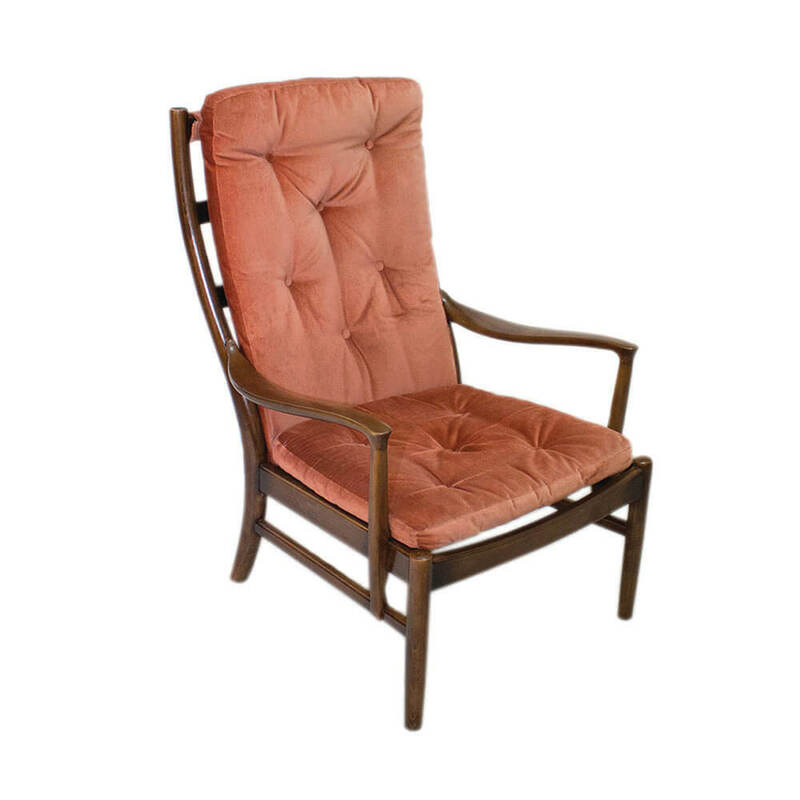 English Mid-Century Modern model PK1016-19 armchair from Parker Knoll. 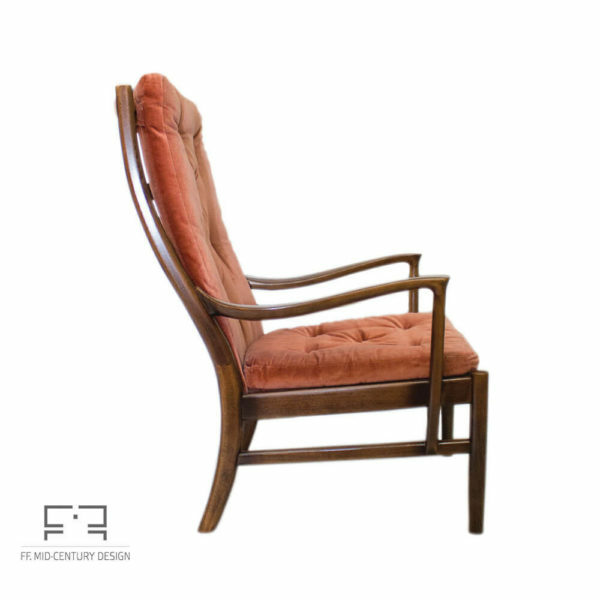 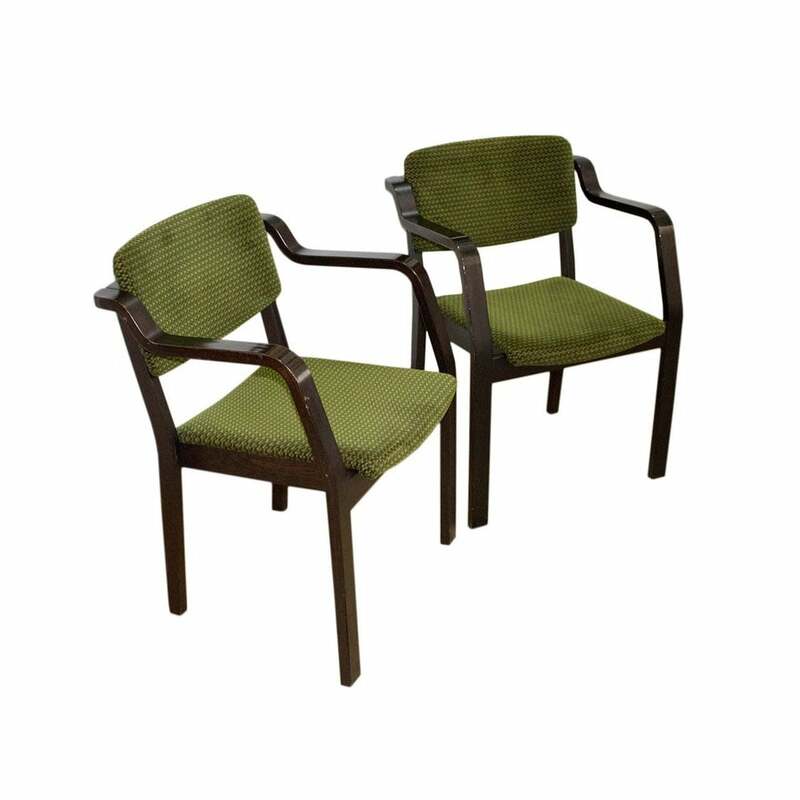 The armchair have a curvaceous wooden frame (made of stained beech) with two loose light marsala cushions. The upholstery have a nice and soft velvet look. 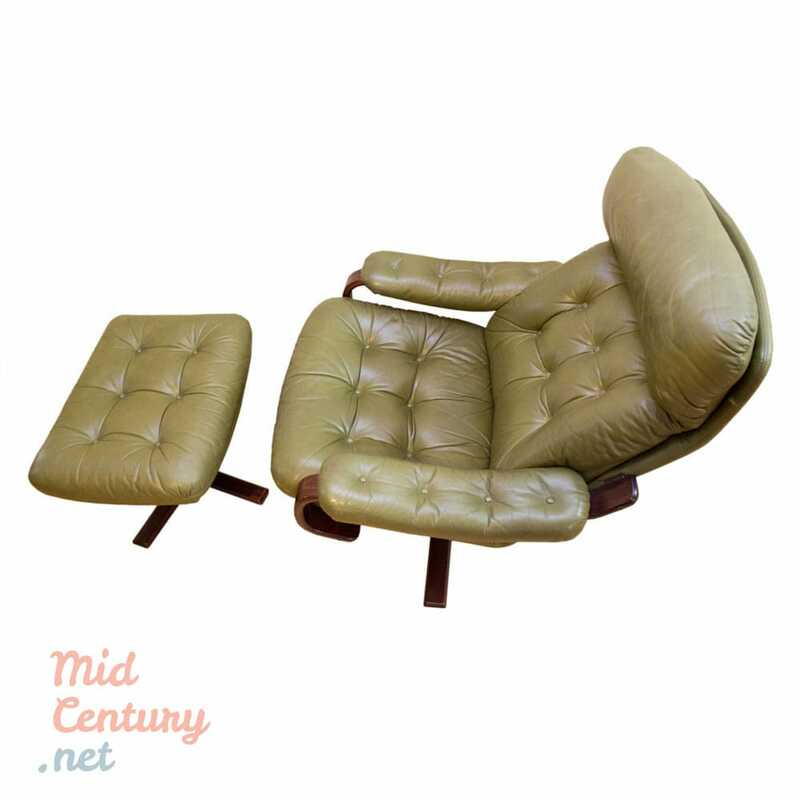 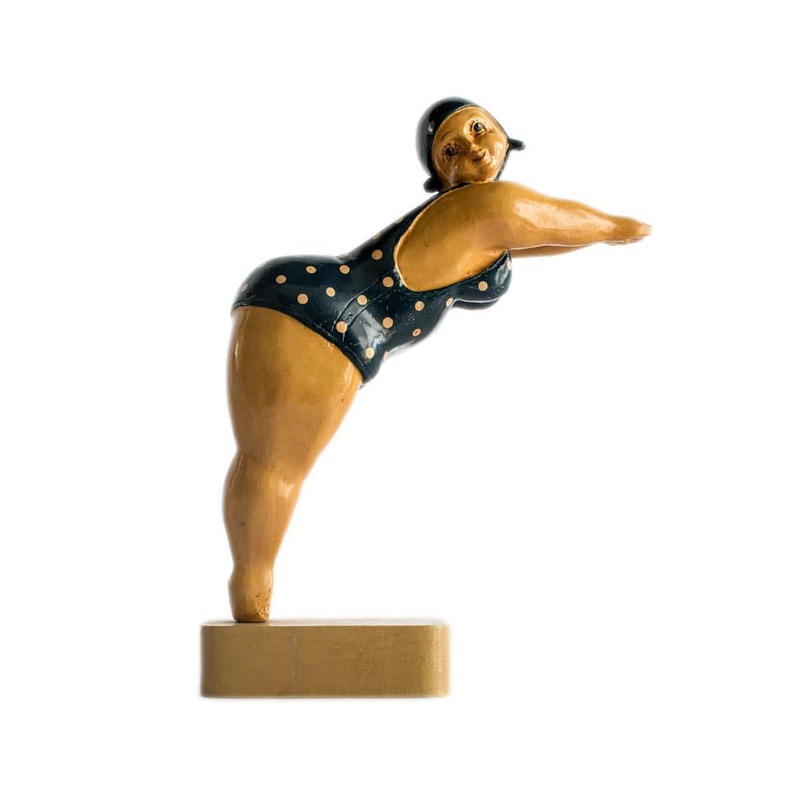 The model was designed in 1968 and is part of the ‘Florian’ range. 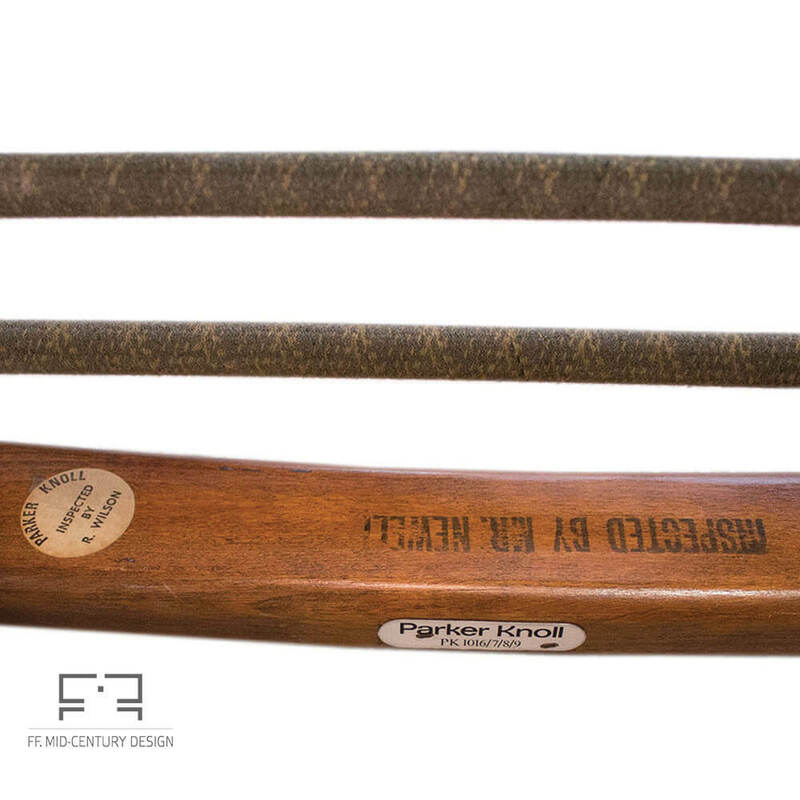 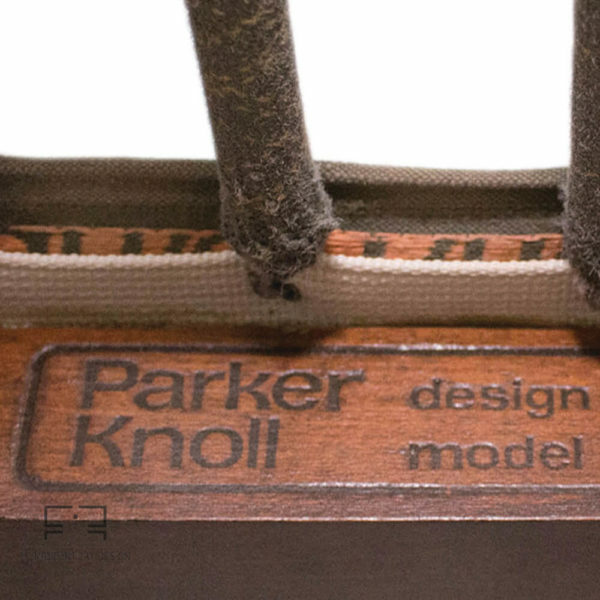 The item is in good vintage condition and has all the original labels/stamp: the Parker Knoll stamp, a Parker Knoll label, and two quality control marks. 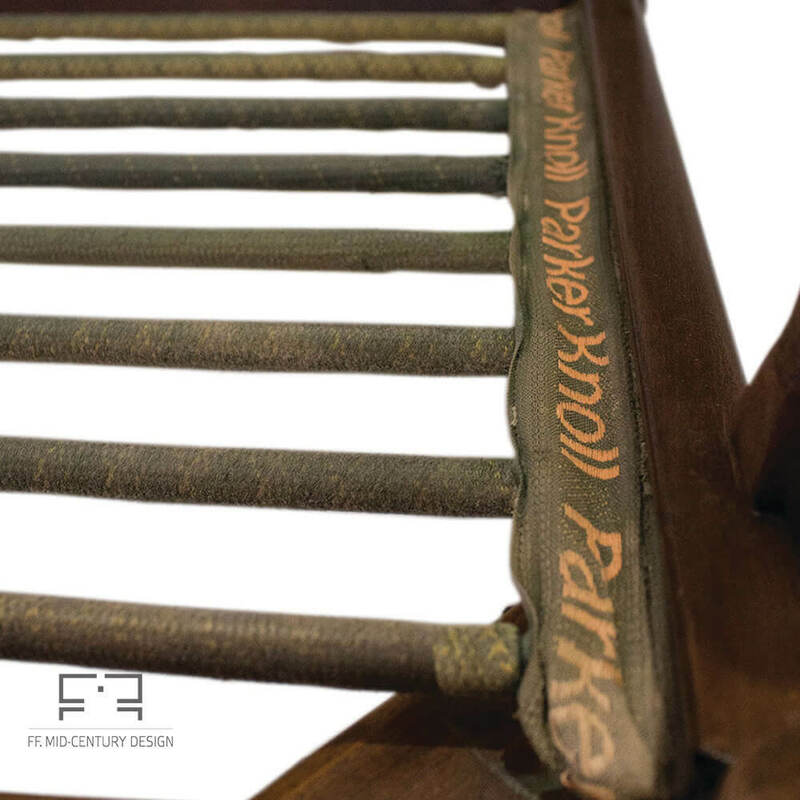 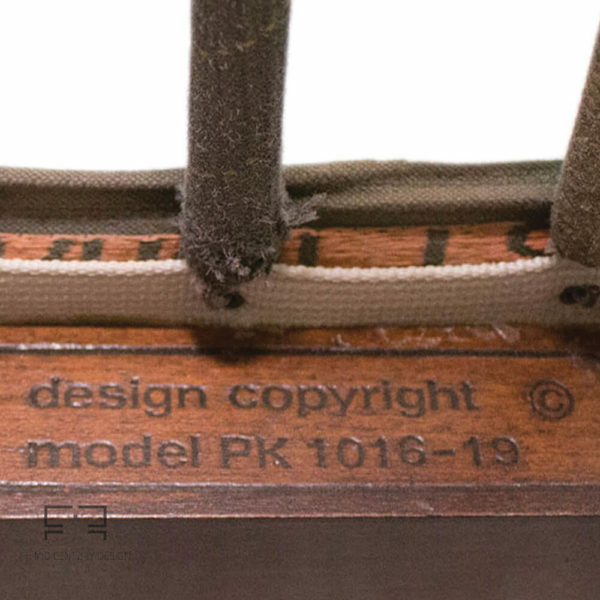 The bottom cushion sits on the original tension springs, flanked by the original Parker Knoll textile ribbons. 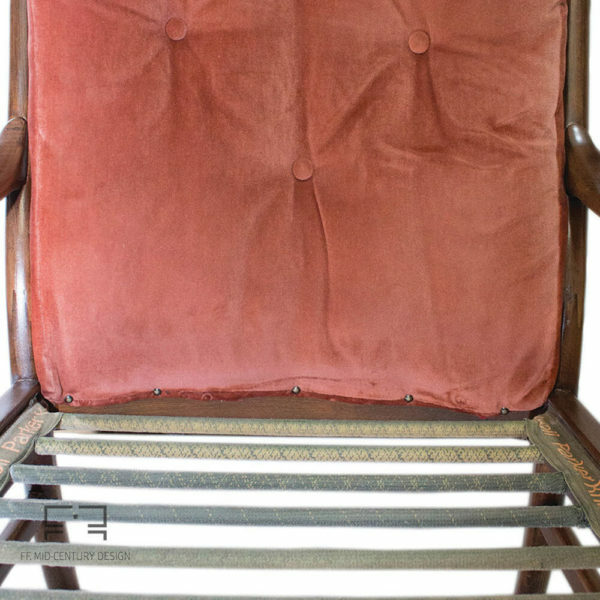 Lounge armchair with ottoman manufactured in Sweden in the late 1980s or early 1990s. 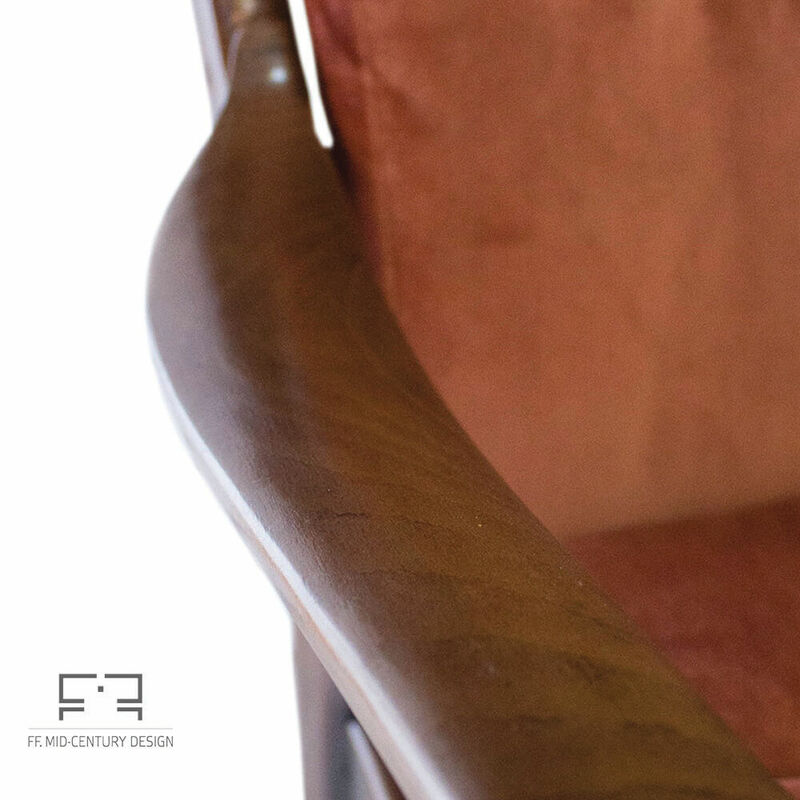 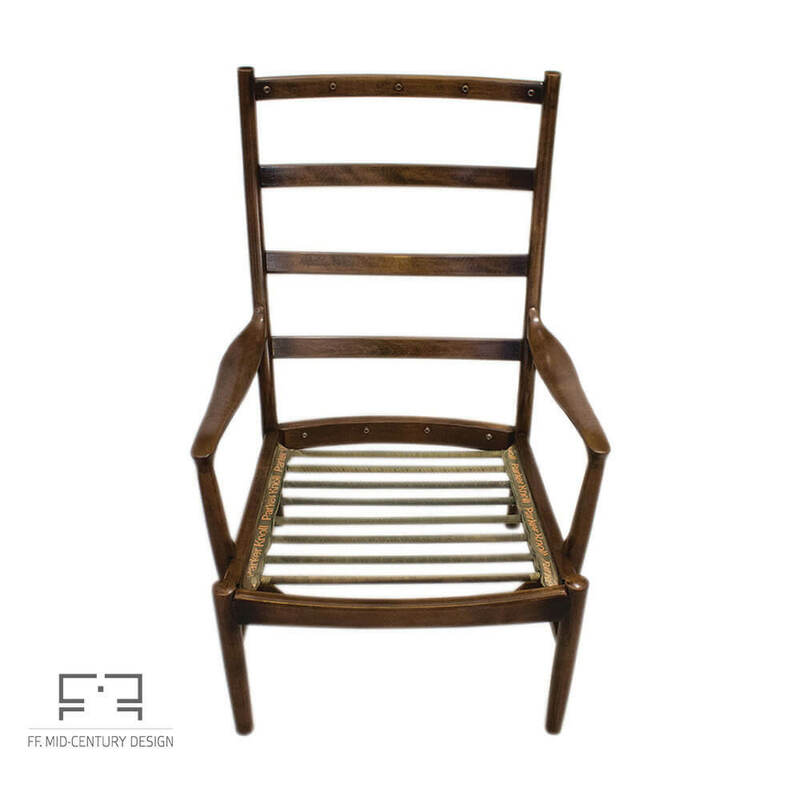 The structure of the chair is made of laminated wood. 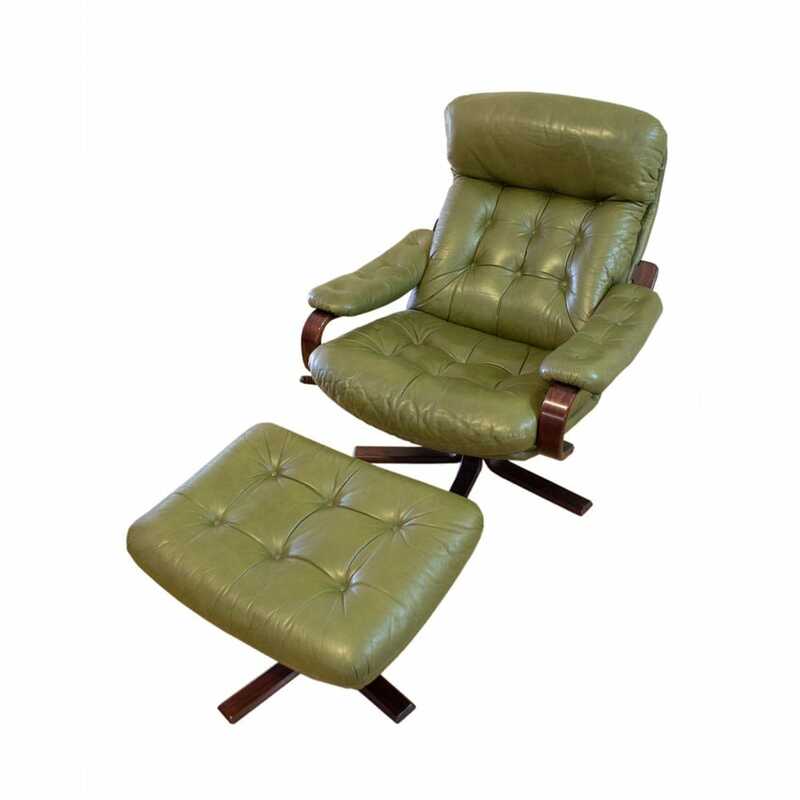 A fine leather, dyed green, was used for upholstery.